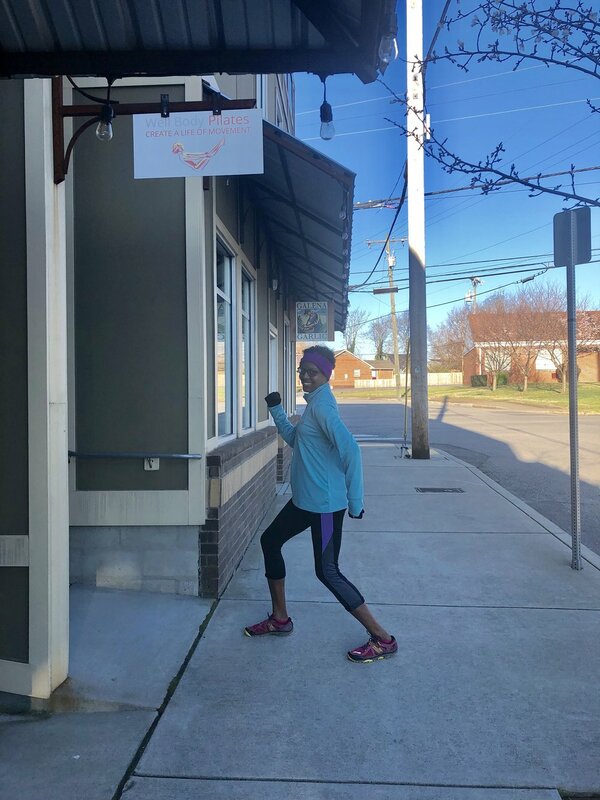 Well Body Pilates instructor, Vonne Atkinson shares what got her running initially, how pilates helps move that practice forward and the music that gives her swagger! Check out her interview and playlist below to find out more as she gives helpful insight into her life of movement. Tell us what you love about running and how you got started? The thing I love about running is its simplicity and freedom. It hardly cost anything, and you can run just about anywhere you want. I feel free when I run. I zone out or problem solve, because it’s my time to just be. Especially trail running, I get to connect to nature and life when on the trail. It’s almost like a moving meditation. What started me running was seeing people run in front of my apartment on Belmont Boulevard when I was a student at BU. One day I just thought, one foot in front of the other and just stepped outside and ran. What about pilates helps prepare runners for their workout? Pilates is low impact full body movement. All movement should come from the core. Strengthening your core is very important for runners because it helps with your posture. There is also stretching in Pilates as well as movement that opens up your hips. For example, one leg circle and side kick series make me feel amazing! How has Pilates complimented your running practice and on the flip side, how does running inform your pilates practice? What are the greatest benefits you’ve seen for yourself and your students? Pilates has complimented my running in several ways, one being breathing. Since I have been doing Pilates I breathe more effectively while running. Pilates also reminds me to run from my Powerhouse and to not sink or slouch while running. Running helps with my Pilates because while I am practicing Pilates I am aware of different movements that help me when running. Example would be hip openers since running occurs in a forward motion only. What kind of running injuries does pilates assist in preventing? As for injuries, Pilates helped me with “Runner’s Knee”. Before I found Pilates I used to get Runner’s Knee frequently. Since practicing Pilates I haven’t gotten it at all! I also trail run and Pilates has helped with body awareness while running on an unstable surface. Should we be taking your pilates class before or after running? You can do Pilates before or after running. I find benefits in both. Before running I enjoy the feeling of tightening my core. It makes me run taller and breathe better. After running I like Pilates because I focus on stretching, lateral work, and opening my hips. What are you most excited about in training runners at Well Body Pilates? I am excited about training runners because it allows me to tap into the Nashville running community, my other movement family! I love running, even though I am a mid packer, it’s the freedom and peace I find when I run. I want other runners to experience all the benefits Pilates has as well as how it can compliment running. Currently, what are some of your favorite tunes to motivate you for running AND training? I have always liked a lot of different genres of music. I like rock, hip hop and rap, and dance music when I run. I don’t worry too much about the beats per minute. I am more interested in how the music makes me feel. For example, I listen to some pretty ratchet rap while running. It’s the only time I actually feel like a badass and think I have swagger. Check out Vonne’s Pilates for Runners on Thursdays at 6:30 at WBP East and FREE WBP Running Club on April 14 and May 12 at 8 AM at WBP East!